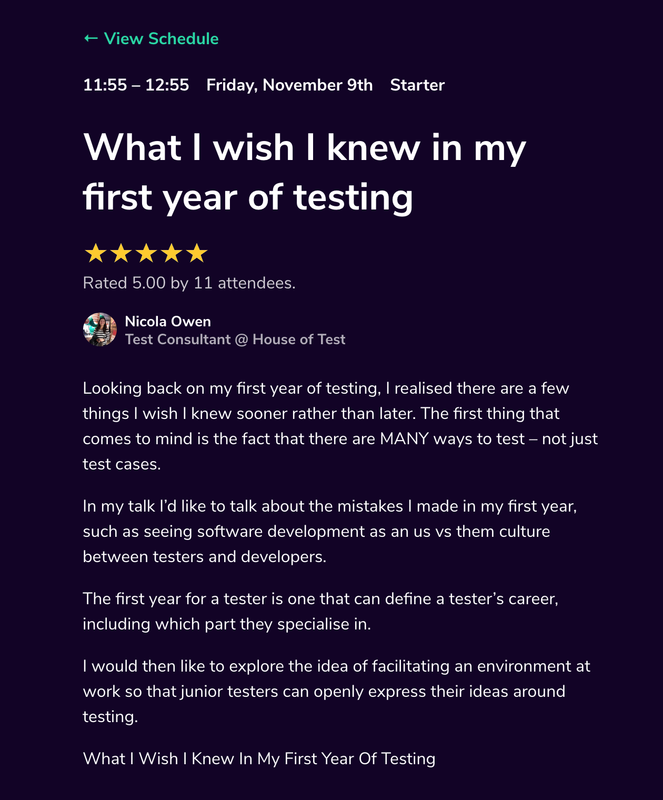 Just under two weeks ago, I flew to Belgrade for the first time, to present my talk: "What I wish I knew in my first year of testing" at the Starter track. 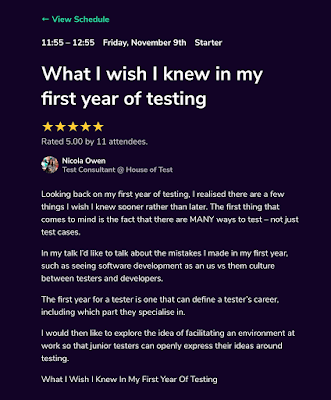 "will focus more on the role of testing in general and software development basics, as well as some technical showcases of what testing actually looks like. It is well suited for people who want to start their careers in software testing or deepen their understanding of testing." The conference had 3 parallel tracks - 1 Starter and 2 tester tracks, based on my understanding, people could only get access to either the 2 tester tracks or the 1 Starter track. It was my second time presenting this talk (after presenting it at Eurostar 2016) but this time the talk was very different, same core idea but the actual material itself was about 30-40% different and organised/structured very differently. 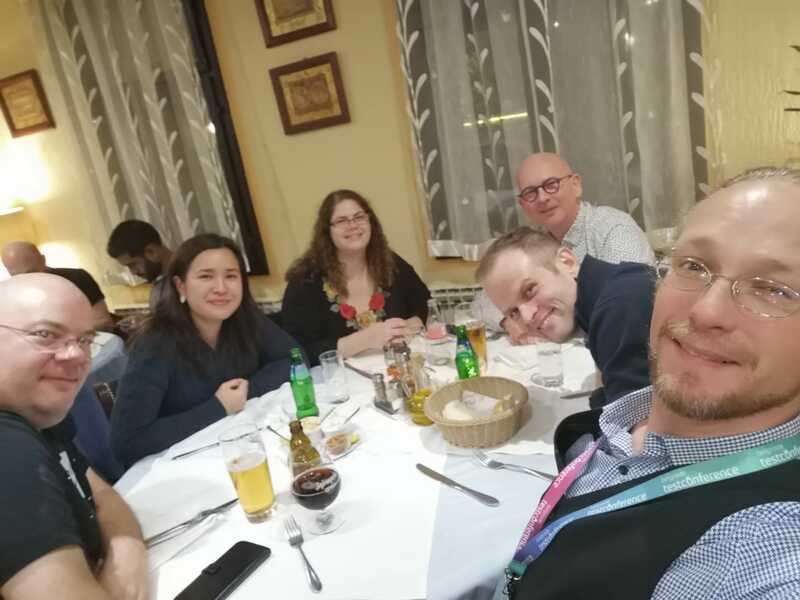 I arrived in Belgrade on the evening of November 8, about 6 hours late due to a missed connection, so unfortunately I missed out the Speakers dinner (while the other speakers were having delicious Serbian food I was eating lots of bread and chocolate in various airports). 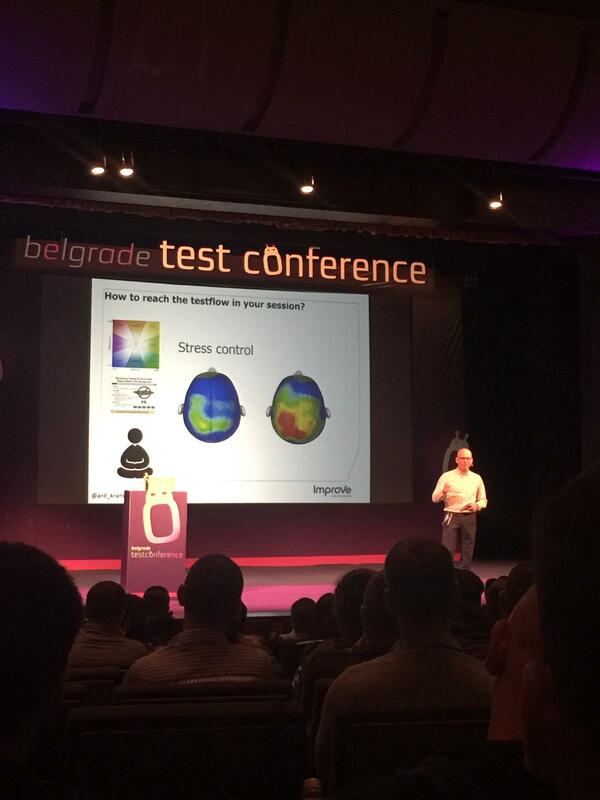 Ard Kramer kicked things off with his opening keynote on "Test flow: improve yourself with mental training". He talked a bit about flow (or what I call "in the zone") which is a great mental state to be in for work and shared some ideas to enable us to reach this state. I also remember his visualisation example with Formula 1 drivers - and how helpful visualisation can be in enabling you to succeed. Full room - 70-100 participants maybe? I answered a few questions afterwards, one I do remember is "How do I know if I'm a good mentor/mentor is doing a good job?" Afterwards a few people came up to me to say thank you and say they really enjoyed it. Later in the day, I asked Maik what I did well and what I could improve (he suggested I look into making my font a bit easier to read, so I made my text for Agile Testing Days bigger and in bold). At the end of the day I saw on the site I got a great score. 11 attendees opted to give me a score and all of them gave me 5 stars. I very excitedly shared this with my fiancé, I practiced the talk on him many times and he gave me helpful feedback to improve. Later in the afternoon, Maik Nogens delivered a presentation on "Testing VR- The Testing Trinity". I was really looking forward to this talk because I know next to nothing on testing VR. He explained to us how surprisingly common VR seems to be getting these days and different strategies on how to test it along with things to consider such as comfort, temperature, accessibility (such as, does someone want to use VR and wear glasses). I attended my House of Test colleague, Lars' Sjödahl's talk on "Absence - Much ado about nothing." He explained to us how the lack of something isn't nothing, but can be information in itself. One of the ways he used to illustrate his point, was to refer to his talk - see below. 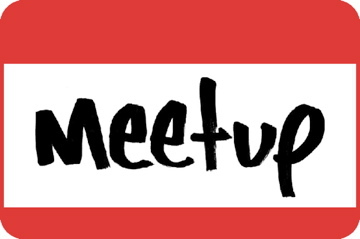 Shivani Gaba delivered a talk on "Moving from GUI to API testing: challenges faced and lessons learned". In her talk she shared some advice on getting started with testing APIs and why she chose Postman as her tool of choice. This talk seemed to be very popular (both by the rating she received after and how full the room was - people were sitting on the floor). Shivani went through the SpeakEasy Program and apparently this was her first conference talk (but if you saw her speak, you'd think she'd been on the conference circuit for years). This is Belgrade Test Conference's third year and I have to say I had an amazing experience as a speaker at this conference. Nevena Petrovic was the speakers' main point of contact before we arrived and while we were at Belgrade - she was attentive, helpful and very professional. She didn't just arrange the "necessary" stuff like taxis, hotels etc. but she also arranged a speakers' dinner and tours of the city. The organisers were also very friendly to me and welcoming when they saw me at the conference and the volunteers/AV people were helpful and professional in ensuring I had everything I needed to give my talk and making sure things ran smoothly. Uros and Maik outside the conference venue.